Photo Manager JPG-Photo managment by rename files using drag&drop. Compose a photo from different exposures, remove red eye flash. Crop, rotate and resize. Edit exif information subject,title,keywords and comments to be rendered in the viewer and to retrieve the photos. Quickly view your pictures just by pointing. Browse through your photos in an Separate window or full-screen (borderless) with magnification function. 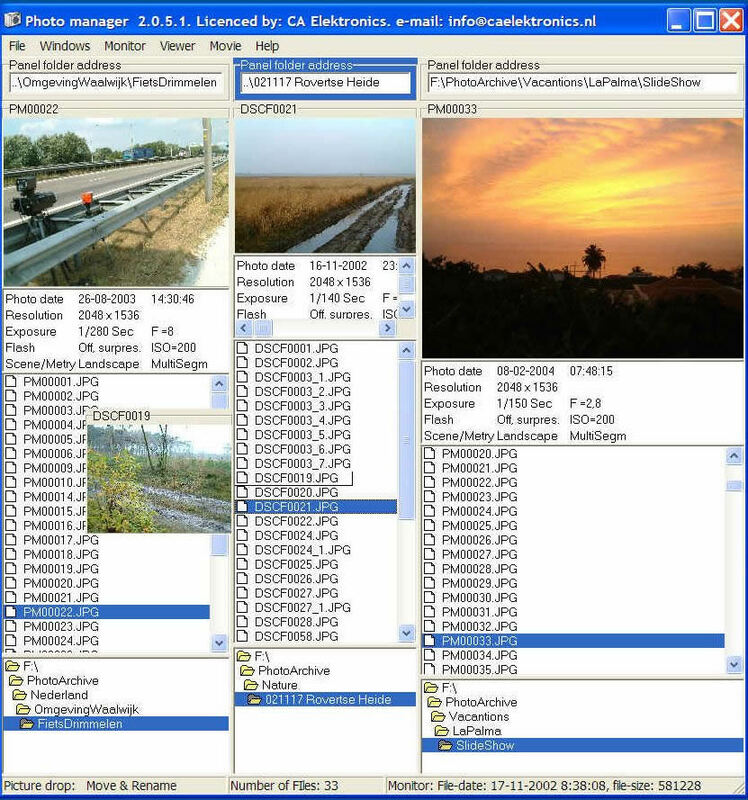 Extendible window shows a picture survey of a folder. Manage the folder of pictures or the order of pictures in their folder by Drag. Rotate/mirror pictures and Remove "red eye flash". Convert picture size and Crop pictures. Add/remove/split/merge the Exif-info and thumbnail and Add text fields (Exif). Remove annoying objects or Seamless paste of picture-parts into other pictures. Picture Show - Multimedia Slide Show and Thumbnail Viewer!